The Reverend Daniel Cranley was ordained in the Diocese of Niagara in 2014 and joined our community of Transfiguration in October 2017. 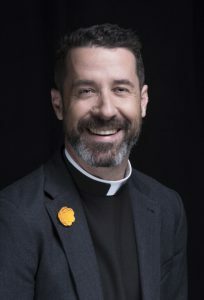 He served as a Hospital Spiritual Care Resident at the University Health Network before becoming Pastoral Associate at St. Christopher’s in Burlington, where he spent much of his time in Long Term Care Homes, hospitals, and people’s homes extending spiritual and pastoral care and connection. From St. Christopher’s he was appointed priest-in-charge at Transfig. These experiences and training have driven and established in him a relationally-based ministry (“following Jesus, historical and incarnate, is all about relationship, knowing and being known, loving and being loved”). 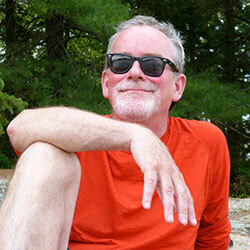 Dan is a long-distance runner and loves anything outdoors (camping, hiking, picnicking); he also enjoys a pint or a good cup of coffee, and, last but not least, he has a grumpy, grey cat named Moby and a lively springer spaniel named Séamus. 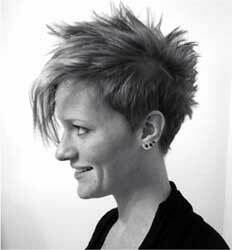 Kris is an accomplished musician and artist with a background in Social Work. Kris completed her Grade 9 Piano through the Royal Conservatory of Music before heading off to Toronto for her undergraduate studies, where she graduated with a B.A. in Human Services and a Diploma with High Honours in Social Service Work. Kris is currently enrolled part-time in an MPS in Spirituality and Psychotherapy at Emmanuel College through the University of Toronto. Born and raised in Toronto, Deb began her life in ministry by moving to Northern Ireland in 2002, volunteering with the Christian non-profit organization Youth With A Mission. She immersed herself in the culture there and, with a group of dedicated volunteers, supported local communities through church work, school presentations, and charity efforts. Since coming home in 2007, Deb has found herself involved with several niche communities in the Anglican Diocese of Toronto. 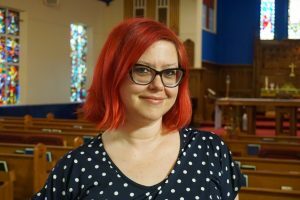 She has been directing music at the Wine Before Breakfast community at Wycliffe College at the University of Toronto for almost 10 years, and for the last 4 years she has taken on preparing liturgy at Christ Church Deer Park’s Church on Tap community. In each of these communities she has found ways to express her faith in unique ways, connected deeply with community members, and encouraged them to use their own gifts as an expression of faith and in service to their communities. She enjoys doing the same at the Church of the Transfiguration. Deb lives in downtown Toronto with her husband, Gary, where they are raising an annoyingly affectionate cat named Giuseppe. 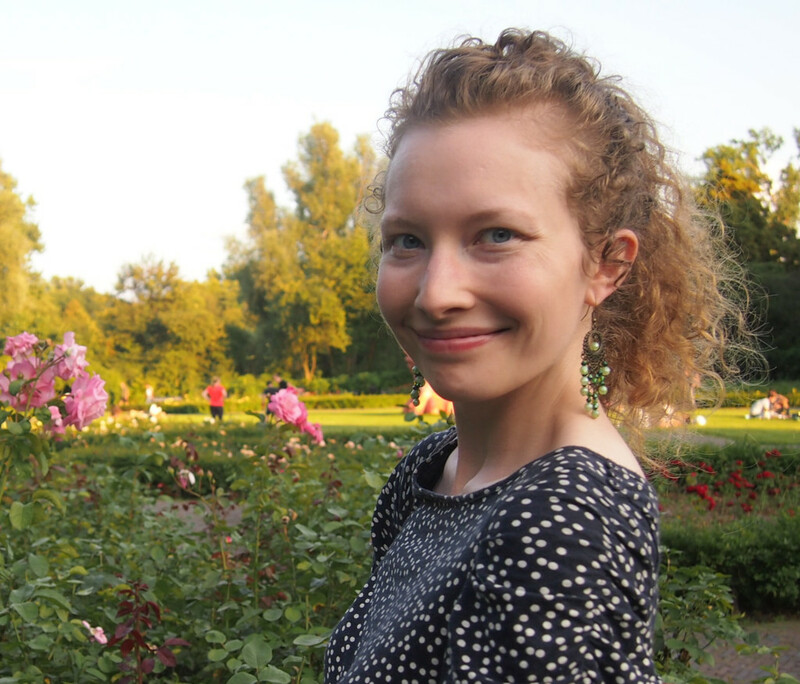 From Toronto, Amanda headed south of the border after high school to complete a BA in English and Asian Studies at Calvin College in Michigan. After doing an MA in English Literature at Queen’s University, she moved to the city of Sendai in northern Japan to teach ESL for two years. Growing up in the Christian Reformed Church (CRC), Amanda first attended an Anglican service in England during a semester abroad; she became more familiar with Anglican liturgy after returning from Japan in 2012 and finding a home at Wine Before Breakfast, a creative Eucharist service that is rooted in both the University of Toronto CRC Campus Ministry and the Anglican tradition of Wycliffe College. 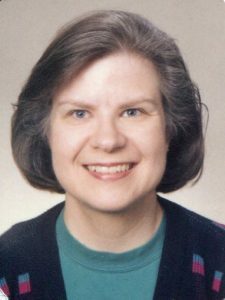 There, in addition to being a parishioner, she was for three years the Emerging Leader Intern, managing the weekly hospitality, curating services, baking communion bread, and serving as sacristan. Her faith has shaped her strongly to believe that creating places of home, community, and story is central to the Kingdom of God, and she is happy and grateful to be able to contribute to the community of Church of the Transfiguration through her ministry of parish administration. Amanda enjoys writing litanies, writing stories, drinking tea by herself, drinking tea with friends, baking bread, keeping her cat out of mischief, reading the poetry of Tennyson and Keats, and encountering well-placed semicolons. Michael was ordained in 1983 in the Diocese of Edmonton, and has served parishes in that diocese, Toronto, and Niagara. He serves now as General Secretary of the Anglican Church of Canada, where he offers leadership in the administration and governance of our church. Married to Deborah Tregunno, a professor of nursing at Queen’s University, he is often in Kingston or travelling elsewhere on weekends. Michael is a writer and communicator. He loves the way that the biblical story calls attention to the rich complexity of light and shadow in the lives of persons and communities, and invites us into God’s work of transformation. He enjoys camping and is happy as can be in a kayak with time to go slowly and his camera aboard. In his current work, he is privileged to witness the ways in which our church and its members are moving through the loss of old ways into the promise of the new. The Rev. Marili Moore (B.Sc., M.Div.) is a member of one of Canada’s most prominent families in the arts, and is herself a professional singer. During 15 years as Collections Manager at the Royal Ontario Museum she worked closely with scholars from a wide range of cultural and scientific disciplines. After graduation from Trinity College in 1999 she was ordained into the Anglican Church of Canada, and has maintained an interest in Interfaith Dialogue. She was a member of the Canadian Jewish Dialogue of Toronto, and also studied at Hebrew University, Jerusalem towards an M.A. in Jewish Studies. She is particularly interested in how culture shapes the transmission and understanding of Scripture. Marili imparts this knowledge by preaching and presiding, teaching Scripture reading courses, singing, and volunteer activities.